An East Yorkshire based pet product company are hoping traditional methods of keeping young tortoises indoors within wooden or glass vivariums will soon be a thing of the past, when they unveil a completely innovative and radical approach in new tortoise housing, at one of the UK’s largest pet trade exhibitions. As one would expect the new tortoise enclosure encompasses many practical and essential features to ensure the wellbeing of its inhabitants, but it’s the incredible aesthetics which really puts this new housing into a league of its own, for it has been ingeniously designed and manufactured to resemble a large mother-tortoise. 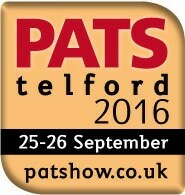 Vividarium® ; The company responsible for its creation, believe the lifelike polyresin animal is sure to be a real crowd pleaser when it’s showcased to thousands of potential customers at the PATS 2016 trade show on September 25th & 26th, being held at The Telford International Centre, in Shropshire. And it would appear that the reptile industry seem to agree, with the editor of the Practical Reptile Keeping Magazine recently waxing lyrical of its unique features, benefits and exquisite fine details, in a two page review of the product. The clever and innovative thinking, which the Practical Reptile Magazine review eloquently portrayed, has obviously been at the forefront of the product’s design at every stage, and has enabled the housing to boast several unique features, benefitting both the hobbyist and the inhabitants alike. Features such as an in-built hide, formed out of the inside of the head of the enclosure, so baby tortoises can retreat and hide out, reducing stress levels. Or, its internal oval shape, reducing the risk of young tortoises toppling over on to their backs, which they often do when trying to shimmy up right-angled perimeter walls in more traditional rectangular vivariums. Or, its inbuilt cable tidy which makes a neat and tidy job of the lighting. Not to mention the fact that it’s made from lightweight resin which means its waterproof, it won’t rot, it’s easy to manoeuvre and easy to clean and disinfect. All in all, it’s a pretty impressive piece of tortoise-keeping kit! 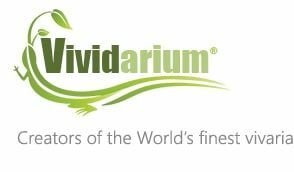 The Vividarium Tortoise Home is the very first product to come off the production line for the fledgling company, but they already have plans in place to introduce a further six similarly striking designs to their portfolio next year. These will include snakes, lizards and amphibians. With design patents already fully granted in 28 countries Worldwide and a 160,000 square foot factory able to handle any amount of orders, we may start to see the biggest shake-up in the reptile housing industry within the last four decades.